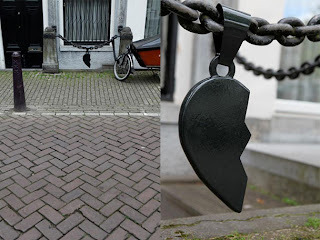 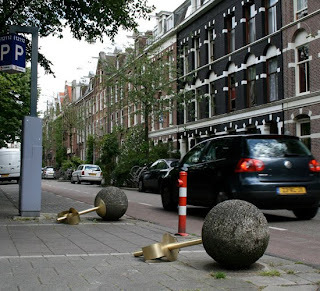 Urban jewelry by Belgian artist and designer, Liesbeth Bussche who decorates the streets with her site-specific pieces. 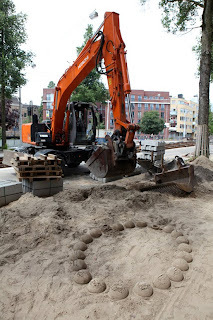 She is participating in an exhibition called What's New? 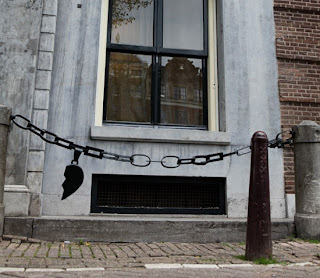 at Sofie Lachaert Galerie will be on view until November 8th, 2009.